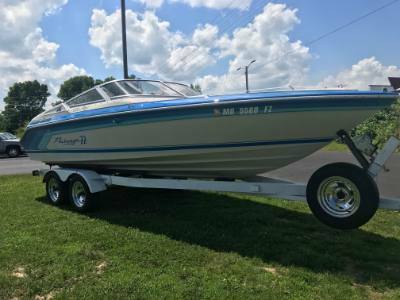 Boats, 380 hours, Blue / White, See Pictures, Vinyl/Carpet/Fiberglass, 454ci Mercruiser, Inboard/Outboard, Alpha One, located in Ozark, MO, SUPER CLEAN BOAT, ONLY 380 HOURS, 454ci I/O, GREAT COLOR SCHEME, COME LOOK! 68MPH GO FAST BOAT! !